The fashion world has not heeded my cries and somehow, someway, the high-fashion ugly shoe is still A Thing. Not only are people still wearing ugly shoes but designers are still making them. With the debut of Opening Ceremony x Teva, I say we've reached peak hideous sandal saturation. But hey, at least they aren't worse then the monstrosities from Dior's Cruise 2015 runway. Teva's Opening Ceremony collection reminds me of the shoes suburban dads (reluctantly) wear in the summer because 100 degrees is just too hot to justify the loafers they'd rather be sporting. The association makes sense, since the Teva line is identical to these dad sandals and appears to be unisex. I will admit that the gladiator pictured above is acceptable for braving the hiking trails but not for braving the Union Square Greenmarket on a Saturday afternoon post-brunch. Unfortunately, I think there are some fashion-obsessives who will lean toward the latter scenario. 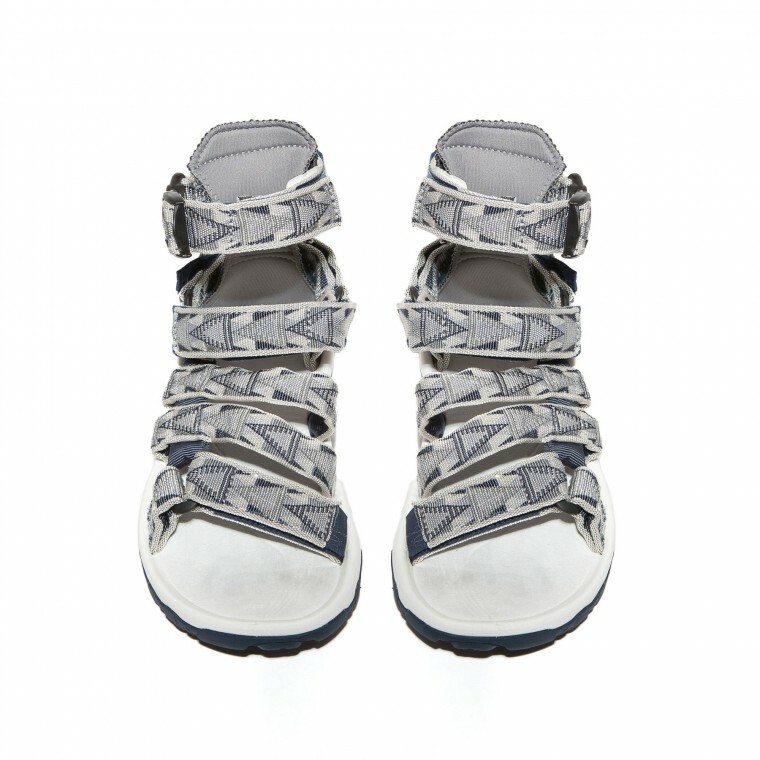 Opening Ceremony x Teva is currently available, with prices ranging from $70-$90. I personally think that money would be better spent anywhere else, but what do I know? Apparently Rachel Bilson loves Birkenstocks, so maybe I'm just lame and have boring taste in shoes. Whatever. When ugly shoes bring on the zombie apocalypse, don't say I didn't warn you.